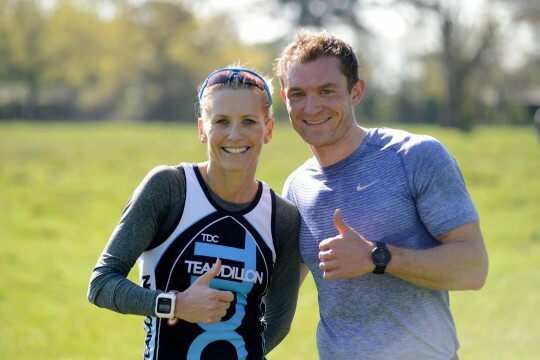 This week we talk with TDC athlete Jamie Gilbert to discuss his introduction to triathlon. Throughout the interview Jamie shows his enthusiasm for all three disciplines. His absolute determination in a sport he has been doing for such a short period of time is why we decided to share his interest with the Team. When and what brought you into the world of triathlon? My ex-girlfriend was training for the marathon and kept trying to get me to run. While I wasn’t overly keen on the idea (not least because I didn’t want to get beaten!) 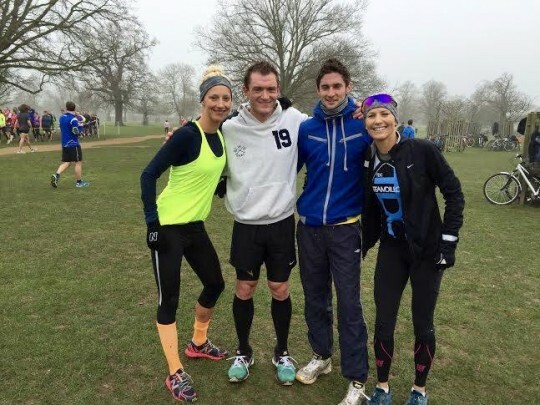 I did succumb early last year and took part in my first parkrun. What was your history of sport before and how or did it relate to triathlon? While I’ve always loved sport and would be happy playing anything growing up, I never ran without some context (usually ball related but sometimes to make a train or avoid a swarm of bees). So I think I was lucky to have some aerobic base even if my technique was woefully lacking! How did you begin to learn a new sport totally from scratch? I love stats and analysis so never struggled for motivation – even if you’re not trying to improve a certain time there’s always technique or strength to work on! 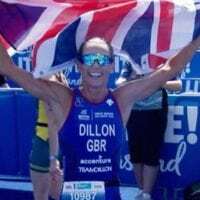 How did you hear about Team Dillon? 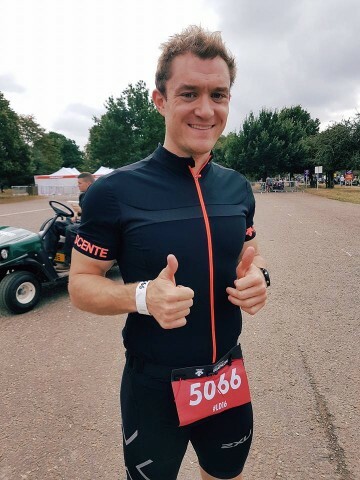 I was enjoying running & cycling so much that I entered the London Duathlon. As the event drew nearer I realised that I didn’t have a clue how to structure my training so started googling for coaches. As soon as I found the Team Dillon site, I was impressed by the calibre of the personnel and thought it must be worth getting in touch. How have you developed with the Team since starting with us and now reaching this point in your development? It’s immensely satisfying to say that I’ve exceeded the performance goals I wrote down when I joined the team but even more importantly I’ve modified my technique to be far more efficient and identified potential areas of weakness that I’m working on to (hopefully) become much more resilient to injury. What is your favourite discipline of the three? Why and how? This is difficult because I find each discipline rewarding in their own way. If I had to pick, I’d probably say cycling is my favourite because of the wide range of sessions you can do – anything from the long ride (which is a great way to explore when abroad!) to the gruelling watt bike sessions. Which events have you taken in so far and which would you say was your favourite? I haven’t raced too much this year but really enjoy competing – not only as a great opportunity to see the results of the hard work in training but also because there are some really well run events and they make for a great weekend, especially if other members of the team are involved (or even just there to support!). 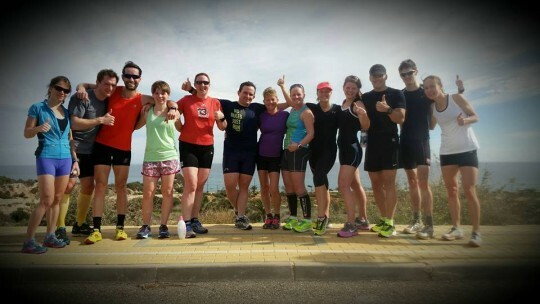 You joined TDC for your first triathlon training camp, how did you find it? Plus, what did you learn? 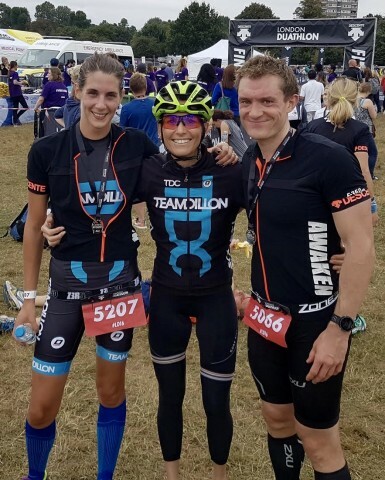 This was my first immersion in the triathlon lifestyle and I was quite daunted by the prospect of so much training beforehand but couldn’t have had a better time! As well as picking up a wealth of technical pointers and cycling some incredible routes through the hills and by the sea, it was so much fun getting to know other like-minded members of the group. I was also pleasantly surprised at how accessible and humble the coaching staff are – for such talented athletes (this is a group of Olympians and world champions) there isn’t even a trace of ego and they are never too busy to help out, regardless of whether it’s a seasoned pro or complete novice. You have also had many 1-2-1 sessions how do you find this beneficial to your understanding of the sport? 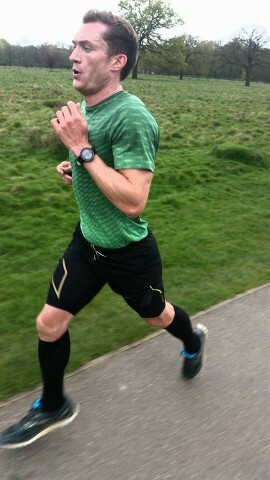 I’ve found the specific focus to be extremely useful – particularly in completely changing my running technique to something that’s faster and more resilient, allowing me to keep pushing the training volume! What’s been the most difficult part of the process so far? I may have got a little greedy with wanting to keep increasing my training volume without putting the appropriate work into cementing some of the technical changes. I picked up an Achilles strain, which meant that I could only swim for a couple of months over the summer (and missed a couple of events). While this was a rough period, it did give me the time to focus on the strength and conditioning work that was necessary to offset some biomechanical issues that have lingered from old injuries and will hopefully just mean I’ll come back stronger and more resilient. Which events are you looking to do next year? Do you have any long term aims in the sport? Nothing too specific – while it would be amazingly satisfying to do well in the age group competitions (there are so many inspirational examples of fellow TDC athletes excelling in these that one can’t help but want to get involved) there are so many different times & distances to improve that I’m going to be happy with continued progress! How do you and Michelle work with one another to reach your targets? Right at the outset we discussed the broad picture and what I was looking to achieve during the year and then Michelle structured a training plan that would best work toward these goals. We have regular reviews to monitor the progress as well as making any necessary tweaks. I love that I can just focus on training and not have to worry about what I should be doing. 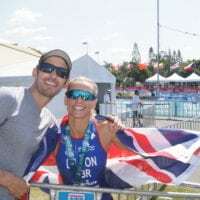 Of course it’s also fantastic to have someone of Michelle’s pedigree available for advice and amazing to see the enthusiasm for her athlete’s success too! Is there any advice you would give to beginners or to those totally new to the sport to get them involved? 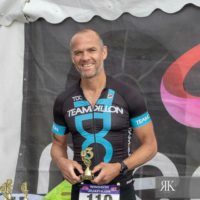 I guess everyone gets involved for their own reasons but I would certainly recommend joining a group as triathlon is a very friendly, active community for what could be seen as a very individual sport. I also found the technical reviews to be extremely useful – if you want to keep pushing yourself the efficiency gains and resilience of a proper technique is invaluable! Having an awesome coach tailor plans to your specific needs is also a luxury for which I’m very grateful and can’t recommend highly enough! On behalf of TDC we would like to thank Jamie for his brilliant experiences and advice. We wish him the best of support and look forward to seeing him racing throughout next year.